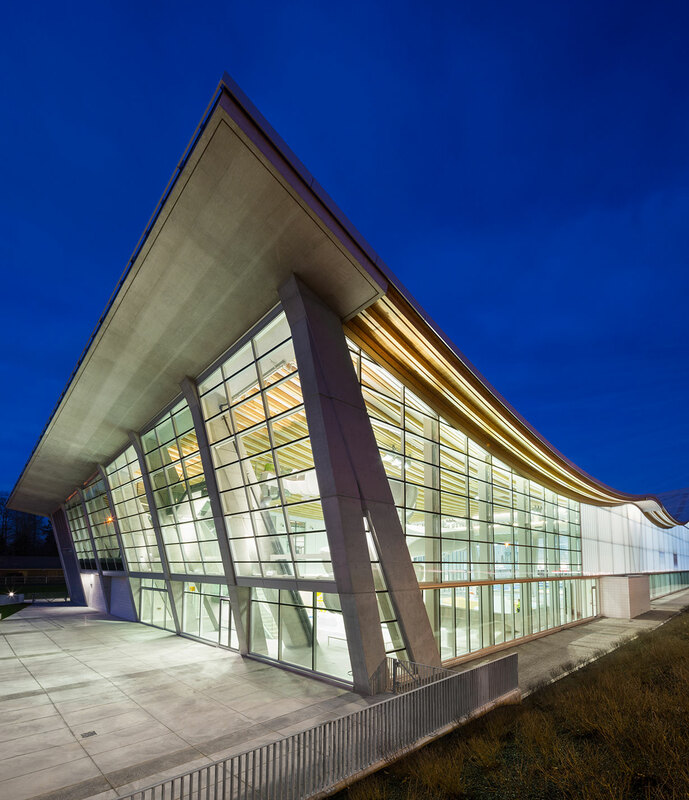 The Grandview Heights Aquatic Complex is part of a large multi-phase development and anchors the eastward expansion of the Grandview Heights community in Surrey, British Columbia. 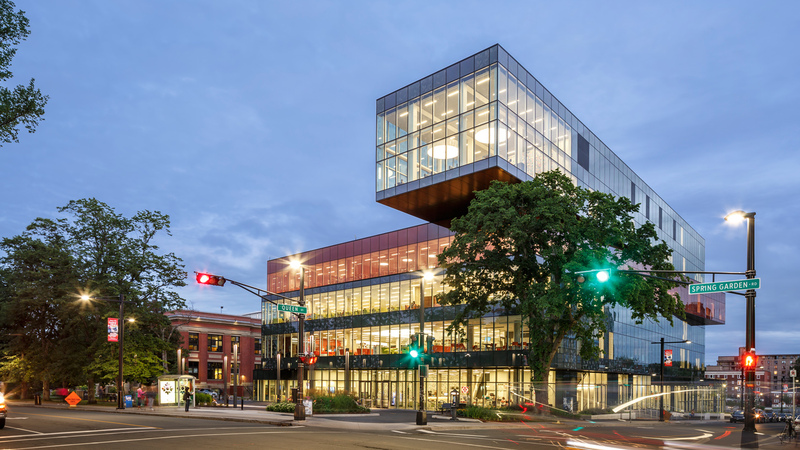 The building’s scale and strong presence on a prominent corner are conceived of as the first step in a larger vision of a denser and more urbanized building form for the area. 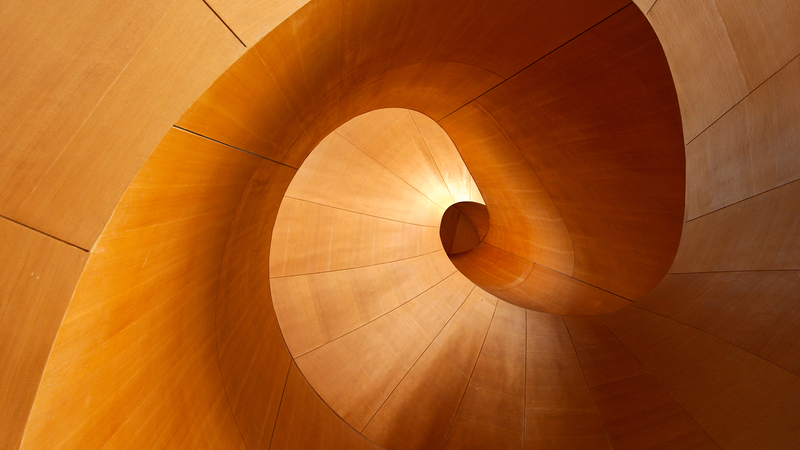 This building’s elegant design incorporates a mass-timber undulating roof that is both striking and practical. 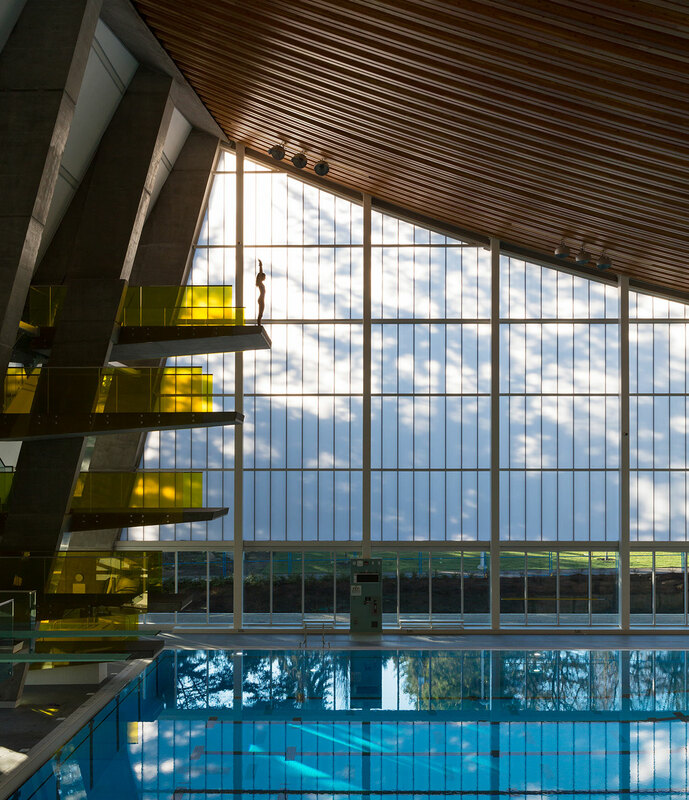 The complex and curved roof rises to suit the height required for the 10-metre, competition high-dive tower at one end of the building and at the same time, provides direct views into the various pools from the road and sidewalk. 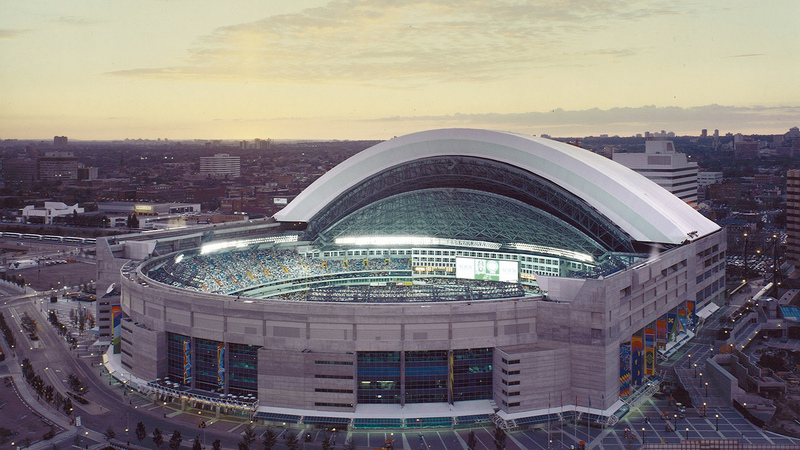 One of the unique features of the project, was the construction of a FINA Certified 50 m competition venue pool tank (that adjusts in depth), as the city anticipates hosting international level aquatic competitions. 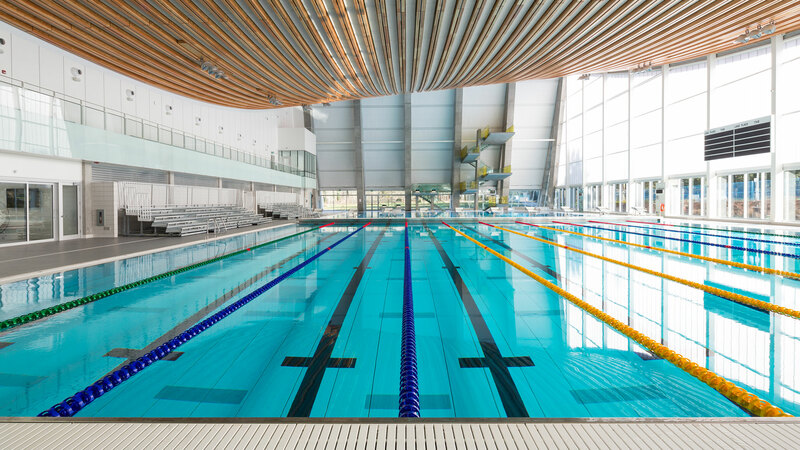 In addition, the new facility includes competition diving towers, lifestyle pool, hot pool, steam and sauna rooms, amenities and fitness centre.